Upon winning the NWA Worlds Heavyweight Championship from Tim Storm at CZW: Cage of Death, Nick Aldis declared that he would bring honor back to that Title and prestige to the entire National Wrestling Alliance. As a part of what the Champion is calling the “Aldis Crusade,” the NWA has selected a number of United promotions to host a title defense putting the “Ten Pounds of Gold” on the line. 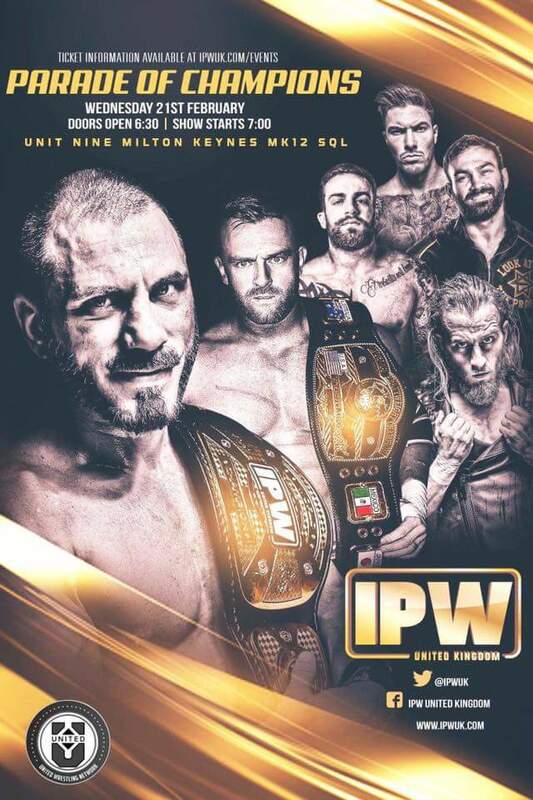 After his first successful defense in Los Angeles where he defeated James Ellsworth, Nick Aldis returns home to the United Kingdom to remind his countrymen what that championship means. “The Ten Pounds of Gold is not a prop. It is not just a strap. It is a symbol of values and if you’re good enough to hold it, a way of life.” The next person in line to hoping to make the Worlds Heavyweight Championship his way of life is United Wrestling Network standout David Starr. A frequent competitor at Combat Zone Wrestling, Starr has made an international name for himself over the last two years with a worldly appeal across every fanbase he’s stepped in front of. It is for these reasons combined with his technical skills that have put him in line for a shot at Nick Aldis. We caught up with David Starr to get his thoughts on the biggest opportunity of his career. An NWA licensed official explains the rules of the Title Bout to Nick Aldis and David Starr. “I have dreamed of being NWA Worlds Heavyweight Champion since I was little watching tapes of Dusty and Flair,” says a determined David Starr. “Nick Aldis is an admirable Champion.” Fans of either man know that Aldis and Starr will stop at nothing to accomplish their goals. This match will be a manifestation of that resolve at the highest level. Make sure to check back to UnitedWrestlingTV.com for updates and information on National Wrestling Alliance and the United Wrestling Network.